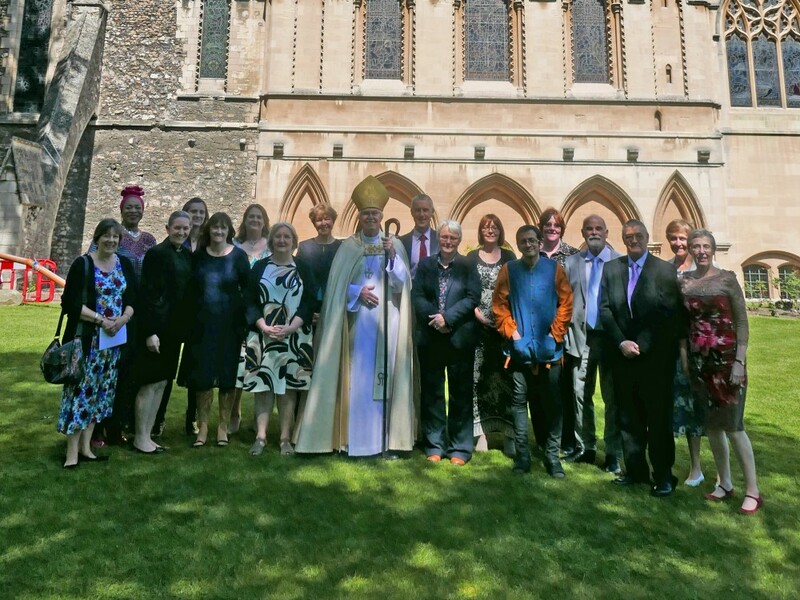 Saturday 19 May was a very special day for the Royal Family - and for football fans - but also for a scientist, a tri-athlon runner and a solicitor, as they were among a group of 15 people licensed as Lay Ministers (LLM) in the Church of England at a special service in Rochester Cathedral. As well as being able to preach in church and take services, LLMs are able to develop a particular focus for their ministry; this might include specialising in working with elderly people and those with dementia; with the bereaved; with children and families; and, caring for the vulnerable in their communities. To become an LLM a person undertakes 4 years of part time training. It focuses on developing Christian leadership and gaining knowledge and skills in different expressions of ministry. All those licensed on Saturday began their journeys after attending an ‘It’s your calling day’, organised by the Diocese of Rochester, the part of the Church of England serving north west Kent, Medway and the two London boroughs of Bromley and Bexley. “God loves variety, as we see every day in his creation and the people in it, and we certainly see it in the varied ministries of the LLMs taking their first steps on their new journey with Christ.